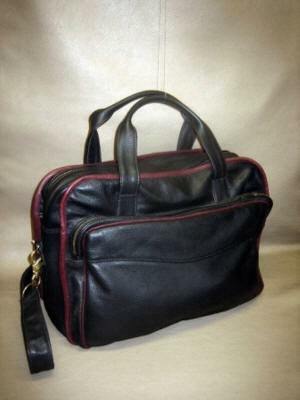 Large duffle designed for both genders with an abundance of space to carry items. Large front pouch pocket: 15� x 8 �� x 1� wide with zipper closure, and an additional back zipper pocket. 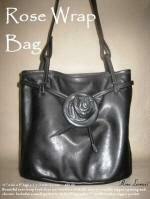 Features both handles and a detachable shoulder strap. Copyright � 2002 Lorenzi Leather. All rights reserved.